At Mirragin Unmanned Systems, we help Defence and Emergency Services organisations successfully implement their drone programs. We believe that Defence and Emergency Services personnel do an incredible job of providing security and assistance in times of need. We believe that they should not be put needlessly at risk in doing their jobs. 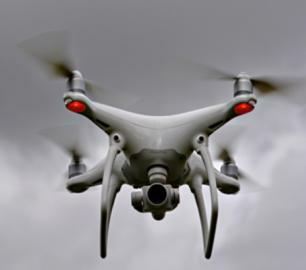 People are priceless and robots are cheap, so by implementing drone technologies to do dull, dirty and dangerous jobs, we can minimise the risk to which Defence and Emergency Services personnel are exposed. Our experienced and high calibre team are the best at what they do: employing their considerable expertise to help you to successfully integrate Unmanned Systems into your organisation. We ask the right questions at the right times to ensure that the right problem is being solved, and that your needs are being met. We believe in challenging our own team to excel in everything they do, above all in order to offer you outstanding levels of service. We do this by first understanding the problem you are trying to solve and the risks you face, and then we help you to design and implement the right solution. This includes making sure that you are choosing the right technology to meet your needs, ensuring that the technology is integrated into your existing business, and that the appropriate frameworks are in place to minimise your risk. Whatever your Unmanned Systems needs, you’ll find us right there with you.